12 x 12 sheet of Alphabet stickers with words, borders and elements to co-ordinate with the I love Sunshine Element sticker sheet. Bright, fun and with a summer feel, it's perfect for your scrapbooking layouts. 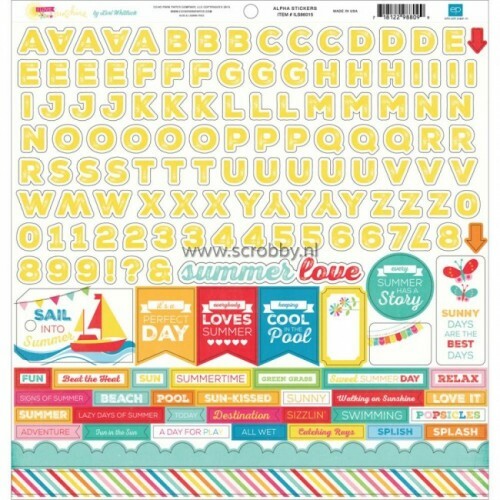 12 x 12 sheet of stickers, bright and fun with a Summer theme, all co-ordinate beautifully with the ..